We would like to thank all our sponsors for their generous financial support and helpful guidance. Thanks to their help, we were able to develop CascAID. Their sponsorship allowed us to make the most out of the iGEM competition and attend the Giant Jamboree. We are honored to name these institutions and companies our sponsors. One of Europe's leading universities, the TUM is an institution known worldwide for its excellence in education and research. With a strong focus on promoting new ideas and innovation, the TUM offers their students an impressive network of industrial and academic partners around the world both during their studies and after graduation. Their accomplishments in teaching and research regularly award them top spots in national and international rankings. The TUM is also a University of Excellence in Germany. Founded in 1472, the LMU has since its beginnings been committed to offering their students outstanding education and promoting the discovery of innovative theories. By supporting their students and researchers in their scientific endeavors, the LMU upholds this tradition to this date, which places them as one of the top universities in Europe and gives them the recognition as a University of Excellence in Germany. Lehre @ LMU is a university-wide program that fosters the education of LMU students by promoting scientific research and innovative ways of teaching. Through Lehre @ LMU, students can learn more about the academic world thanks to research-focused courses, special faculty side-projects and diverse mentoring and tutoring programs. Students' own ideas and projects are also supported financially and logistically by an interdisciplinary network of students and experts. The NIM cluster is a member of the Excellence Initiative of the German government. Its goal is to bring together the expertise and experience of scientists in the fields of physics, biochemistry, electrical engineering and medicine among others to develop nanoscale building blocks and integrate them into coherent nanosystems with a wide and powerful range of applications. In addition, NIM promotes scientific careers by supporting student projects and offering graduate programs for young scientists. The GRK2062 is a Research training group that provides an innovative PhD training program in Synthetic Biology with a focus in interdisciplinary education. By promoting collaboration of scientists in the fields of physics, biology and chemistry, the GRK2062 has a wide array of research projects that properly mirror the interdisciplinary nature of Synthetic Biology. The communication between the different fields is facilitated thanks to the holistic program of both practical and theoretical courses that the GRK2062 offers their doctoral researches. Integrated DNA Technologies is one of the largest manufacturers of oligonucleotides in the world, offering also solutions in genome editing, gene synthesis and sequencing. IDT is a reliable partner for oligo-synthesis and, thanks to its vast expertise and experience, delivers a high-quality product in record time. Many of our cloning and sequencing primers were synthesized by them and without their help, this project would not have been possible. biomers.net specializes in the synthesis of oligonucleotides of all kinds. From primers to modified RNA sequences, biomers.net is an amazing partner for all scientists working with nucleotides. Their rigorous quality control and helpful support guarantee that their products are always a good choice. We are deeply grateful for their generous sponsorship, which allowed us to synthesize primers, DNA templates for target RNA and crRNA sequences, among others. New England Biolabs provides many labs around the world with enzymes and a wide array of essential buffers for life sciences applications. As an industry leader, NEB has become one of the best suppliers for kits and enzymatic assays. We would like to thank them for their products, as their enzymes played a central part in our experiments and their kits and assays were important benchmarks. GATC Biotech is one of Europe's most renown sequencing companies. Founded in 1990, they were one of the first providers of non-radioactive sequencing and have been innovating in the field ever since. Be it transcriptomics, genomics, single samples or whole genomes, GATC Biotech presents a high-quality solution. Many thanks to GATC Biotech for offering their sequencing service to us and helping us validate our plasmids and BioBricks. Promega is a worldwide provider of technical solutions for researchers worldwide. With a wide portfolio of over 3000 products covering genomics, cellular expression, and drug discovery, among others, Promega is a strong partner for life sciences researchers. Promega's proprietary technologies also present unique and powerful solutions for research and the development of new ideas. We thank Promega for their RNA purification kits and enzymes. Scienova is a company quickly rising to become a staple of sample preparation disposables. Specializing in disposable dialysis material, Scienova offers a simple and affordable solution to protein purification. We are greatly thankful to Scienova for providing us with their amazing dialysis membrane that we used for protein purification of Cas13a. Eurofins Genomics is an international provider of genomic services. With their proprietary technologies and protocols, they offer high quality next generation sequencing, gene synthesis, DNA oligos, RNA oligos and many other solutions all-around genomics. A comprehensive client support and an extensive portfolio makes Eurofins Genomics a strong partner for both research and industrial fields. Their overnight sequencing and oligo synthesis services were a great help for our project. We are also greatly thankful for their support for our team´s t-shirts. GE Healthcare Life Sciences has the mission of pushing the medical field further by providing products and solutions ranging from nucleic acid research and microscopy to quality control and cell therapy. They also support and help develop new technologies that will become future standards. We would like to thank GE Healthcare Life Sciences for providing us with different membranes and materials that came to be an integral part of CascAID and for their guidance and consulting. 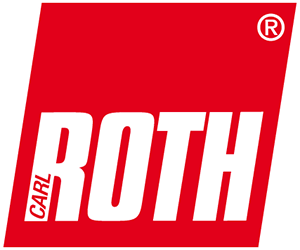 Carl Roth has provided laboratories around the word with quality equipment and highly pure chemicals for over 130 years. Measuring and optical instruments, cleaning products, laboratory appliances, but also chemicals for broth and gel preparation among much more, Carl Roth has everything a scientist needs. We thank Carl Roth for supplying us with great equipment and chemicals. Qiagen is true to their Sample to Insight framework and offers assay technologies capable of delivering valuable and reliable insights. Qiagen has helped researchers since the early days of biotechnology and contributed to the field greatly by cutting down hands-on time for fundamental procedures like plasmid isolation. As one of the many users of Qiagen's kits, we are thankful for their support and collaboration, especially in the field of plasmid purification. UnternehmerTUM is a company with a clear goal: help entrepreneurs to develop their ideas and make successful start-up out of them. UnternehmerTUM is a valuable partner for everyone with an idea and an ambition, as they provide support and guidance in each step of the way, from the initial plan to going public. Currently, UnternehmerTUM helps to start more than 50 start-ups per year and counts with the collaboration of 10 industry partners. Without their great part catalog, other materials and courses from MakerSpace, developing our hardware would have been impossible.